1. Every picture has a story. 2. It’s never too late to caption. This photo hung on my grandparents’ heritage wall of family photos for all the years I can remember. I always knew my mother as the darling ringlet girl, with her younger brother and of course, her parents- my beloved grandparents, whom I consider quite dashing in this photo. Grandma passed in 2000, but this photo and Grandpa stayed in that home until August of 2009, when he moved in with me. I became his full-time caretaker as dementia changed life for him and all of us. When we packed up his home, this photo was one of the treasures that came with us across state lines to my house, where we hung it in Grandpa’s room among other reminders of his home and happy times. He remembered the people in the photo, though he didn’t know me. Now Grandpa is gone, also. But the photo still hangs in my home, moved to my family heritage wall. This morning I removed it from the cheap, gilt, decades-old frame to scan. I was disappointed to not find any caption on the back. Though I knew the people in the picture, I did not know the date it was taken. And one of my rules about scanning photos is to always include the date!! Thankfully, my Mom remembers everything and is still here to ask. 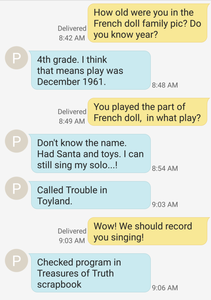 I received my answers right away, and now it looks like I need to record my Mom singing her solo from 55 years ago, and add the audio as an interactive element to this photo! But what did I do immediately? 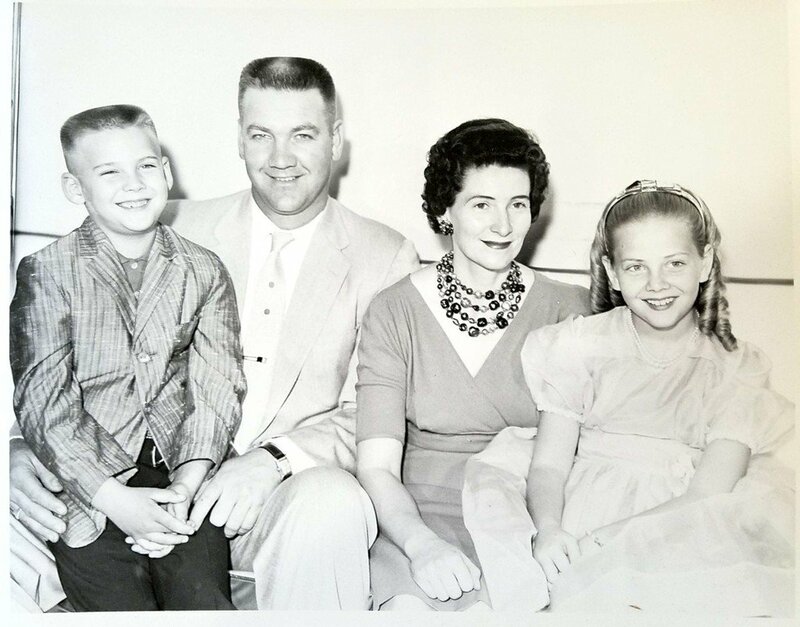 Added a caption to the back of the caption-less family photo from 1961. I also digitized the photo, uploading it to the Cloud drive where I share family history photos and documents with family. And with a grin on my face, I rejoiced. Because I was able to find and document the full story behind what may initially appear as a “regular” family photo. Because now that story won’t die with me. 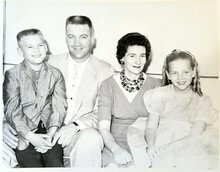 Do any of your family photos have a story behind them? Were they scheduled photography sessions or opportune moments after a special occasion? Make sure they are labeled with names and dates, and record the story behind the picture. Even if you know it, those who come after you may not. Remember, it only takes one generation for family stories to be lost. And it only takes a few moments to preserve them. I’d love to hear your thoughts and stories! Comment below or connect with me on Instagram @legacy.tale. Feel free to share this post on Facebook, and connect with us there, too!